How Often Do You Replace Old Office Desk Phones? While the lifecycle of an office desk phone isn’t quite as short as a cell phone, it does come in at around 3-5 years. The lifecycle of desk phones has caused a shift in the way businesses purchase and consume phone systems. I’m going to talk about this shift in more detail and outline how businesses are adapting their approach to phone systems. Cell phone technology has evolved at what feels like lightning speed. Not only in appearance, but in capabilities. Today’s cell phones are much more than phones. They run applications, sync with other technologies, support video chats, share documents and transcribe voicemails. Guess what? Business phone systems can do that, too. Today’s business phone systems have business-class versions of the features we’ve come to know and expect from our cell phones. This includes integrations between text, voice and email. It also includes features like voicemail to email, video conferencing, document sharing and Bluetooth. So, imagine these features – built for professional use – as the tools you use to communicate while you’re working. If you have ever tried to make a conference call with a smartphone, you know that depending on signal and service, quality can be subpar. And having more than one person speaking into a smartphone on speakerphone at the same time is beyond frustrating. Desktop phone systems are built for one-to-many communications; smartphones are typically best for one-to-one communication. 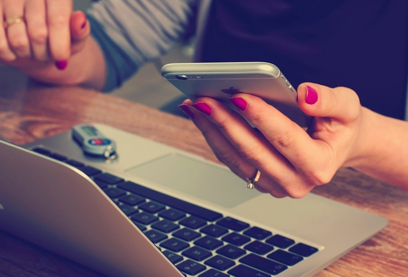 Have you ever tried to transfer a call you’ve received on your smartphone to another employee? Business phone systems are specifically designed to do this. What about putting someone on hold? You can't exactly do that on your smartphone, either. Warm and blind transfers, paging and intercom use can also become issues on a smartphone. Even the ergonomics of the desk phone are better than a smartphone. The handset of the desktop phone was designed to fit in your hand more comfortably. The desk phone's screen faces the user so they can see it while working on their computer. Your smartphone is just lying there flat on your desk, isn’t it? The business phone systems on most employees’ desks are probably five to 15 years old. If that's true for you, it may be time to update. After all, a lot has happened in technology since you looked at your phone system. Under the umbrella of Unified Communications as a Service (UCaaS), there is a sort of revolution going on in business phone systems. UCaaS takes most of the functions you love on your smartphone and makes them available on the desktop. Do you love your touchscreen? New desktop systems have the same screen as your smartphone and they can mirror most of the capabilities. For example, you can now run apps, text message, instant message, video conference and conference call from your desk phone. All of these options and more are available as part of UCaaS. Today's updated phones are more like having a tablet with a handheld (and ergonomic) handset, a better speakerphone and microphones to improve all-around call quality. Plus, now you have access to things like multiple menu options, and many other benefits. With of all these features on your desktop phone, you can actually download an app on your smartphone that launches the same system as your desk phone. So even while on your smartphone, you can use the same functions as your desktop with a universal look and feel. Another feature called Handoff allows you to press a button and transfer the call to another phone — say a cell phone — and hang up your desk phone so you can seamlessly transition from phone to phone without ending your call or disrupting it. So let's say you're stuck in traffic and join a call but get to your office and want to switch to your desk phone... Handoff can do that, easily and without disruption. The best part? The people on the other end of the line will never be able to tell. With single number reach or 'twinning', you can do a whole lot more than just answer a forwarded call. It delivers the functions of your desktop phone on your mobile phone via an application, so wherever you are when you are calling, it looks like you are calling from your desk phone. This could be the end of having to store multiple numbers — work phone and cell phone — for work colleagues. With mobile applications, your mobile phone can incorporate the business phone system functions we mentioned before: transfers, company directory, hold, etc. It also takes incoming calls and delivers them instantly to your mobile phone with no delays. Finally, you get reporting and analytics that reflect the true phone use in your organization, not just what’s happening on the desktop phones. UCaaS blends a lot into one communication system email, chat, phone calls and mobility. It not only revolutionizes your business phone system, it maximizes all of the most efficient methods of communication. Talk to an expert about UCaaS before you decide your business phone system has no use for your organization. If you take one thing away from this article, I hope it’s this: There are a lot of benefits to thinking about business phone systems the way you think about cell phones. People don’t purchase cell phones outright because they’re very expensive and become obsolete in a short period of time. So instead of purchasing their office desk phones outright, lots of businesses choose to rent them until a newer version comes out. With this model, customers pay a consistent monthly amount for the ability to use the device and consume their phone service. Unified communications is going in the same direction. Instead of buying desk phones outright, companies are choosing to rent them until it’s time to upgrade. 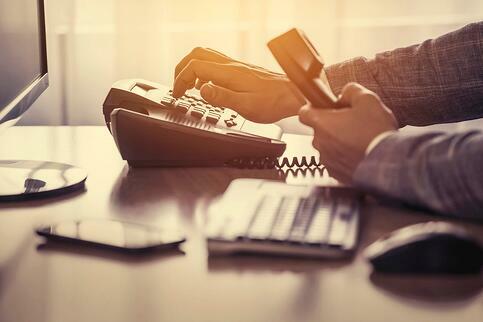 This way, businesses don’t spend an outrageous amount of money on new desk phones, but they still get to use up-to-date communication technology that enables their workforce to be efficient.